With Mother’s Day right around the corner I have put together a list with craft ideas for the kids to make for mom or grandma… I came across so many great ideas I decided to extend this post to include more than just 10 gift ideas for you. Hope you may find one idea you and the kids can enjoy. I see many things I would love as gifts. Hint Hint Hubby. Hope you all found a few ideas to help come up with a great gift for mom and grandma. Also have a MOTHER”S DAY pin board with more ideas. What a great round-up! Thanks for sharing our paper bag vase. Pinned! This is a great resource! Thanks for sharing this!!! 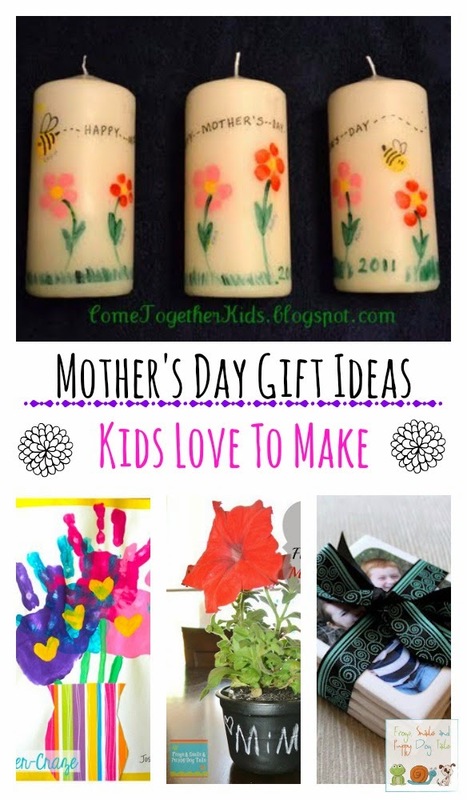 Love your Mother’s Day craft project ideas! Would you like to submit this project to our Mother’s Day Contest? I have been looking for ideas for grandmas. Thanks for sharing.